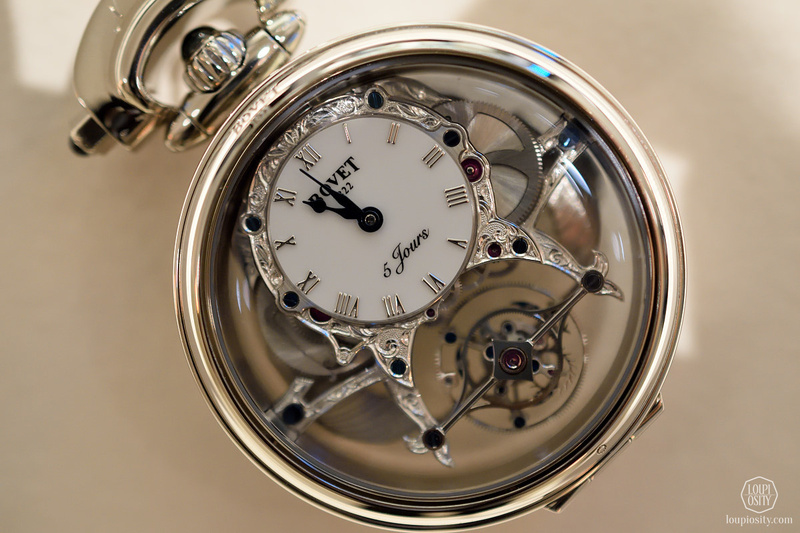 In this series we showcase mechanical wonders that were especially designed for women and others originally for men that come alive on spirited ladies’ wrists. 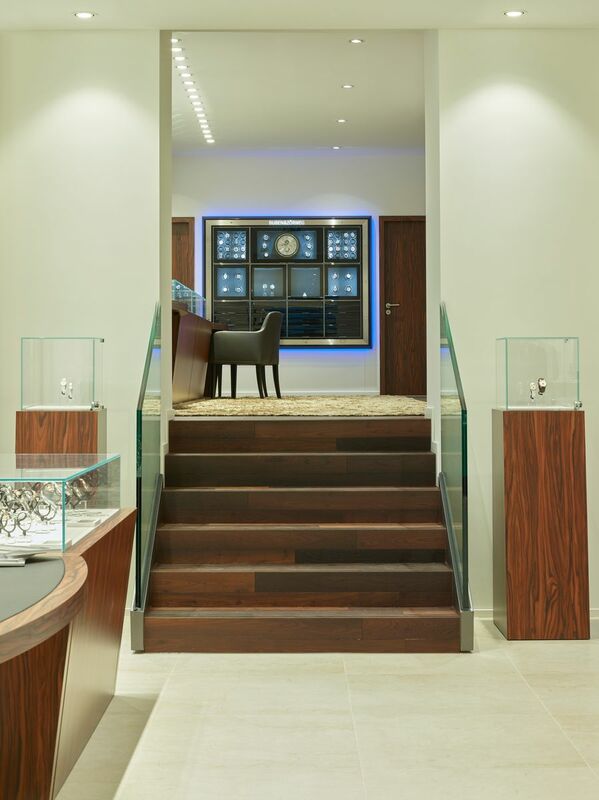 Before Christmas I visited Lucerne for two reasons – first, I had not been there for a very long time and had the desire to experience something new and secondly, I was invited for a private tour by Les Ambassadeurs’ Kingdom of Fine-Watchmaking in their new Lucerne boutique. 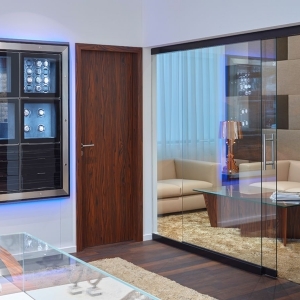 This is not something you want to miss, especially since many exceptional and rare pieces consider Les Ambassadeurs’ boutiques home. What I found there made me write the new chapter of our series for Gentlewomen. The central Swiss city of Lucerne (or Luzern) is a very popular destination among tourists due to its great location – it lays on the shore of Lake Lucerne (der Vierwaldstättersee) which reflects the magnificent peaks of Rigi and Mount Pilatus. On a clear day Pilatus offers a panoramic view of 73 Alpine peaks. Lucerne is famous for its cultural diversity and programmes including classical music, brass bands, blues, jazz, fine food, comics, theatre and even their very own Carnival all year-round. 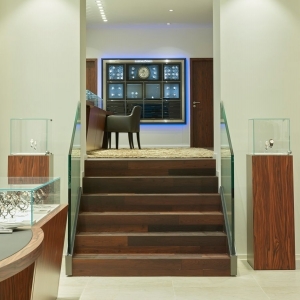 Les Ambassadeurs’ latest boutique opened at the Kapellplatz close to the city’s main landmark, the Chapel Bridge. The square and the bridge received their name from St. Peter’s Chapel situated between them. 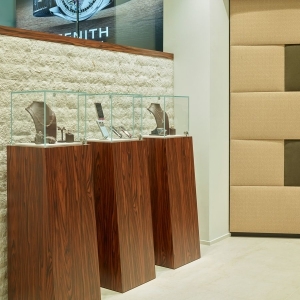 The new boutique follows the “Les Ambassadeurs-concept” with three different display floors, but this time with a twist. 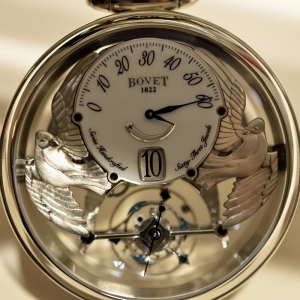 For over 50 years the firm has been well-known for extraordinary customer service provided also by certified and experienced watchmakers. 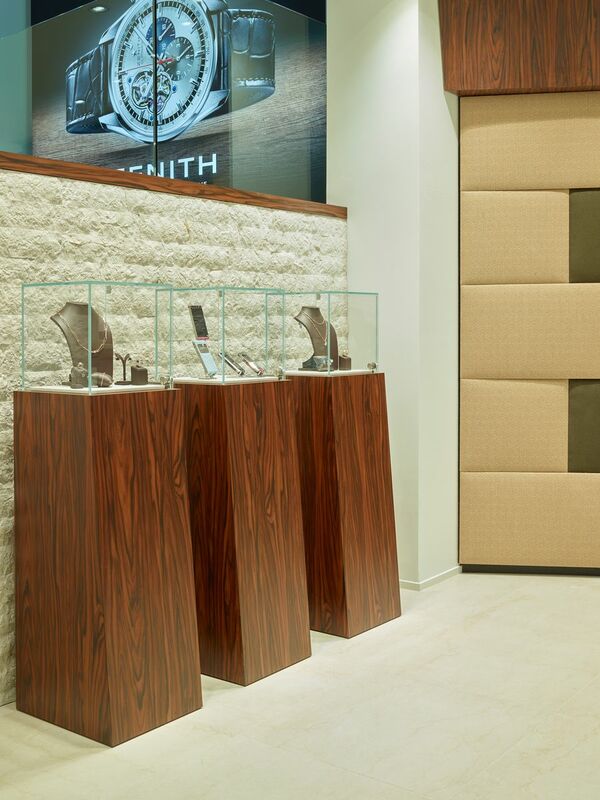 In the new boutique watchmakers traditionally separated from the sales area are placed right in the middle of it. 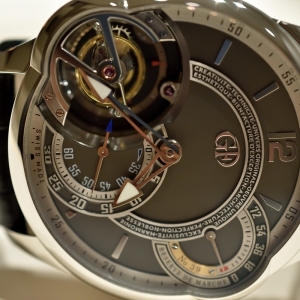 Upon entering you can admire the skillful hands servicing even complex timepieces. 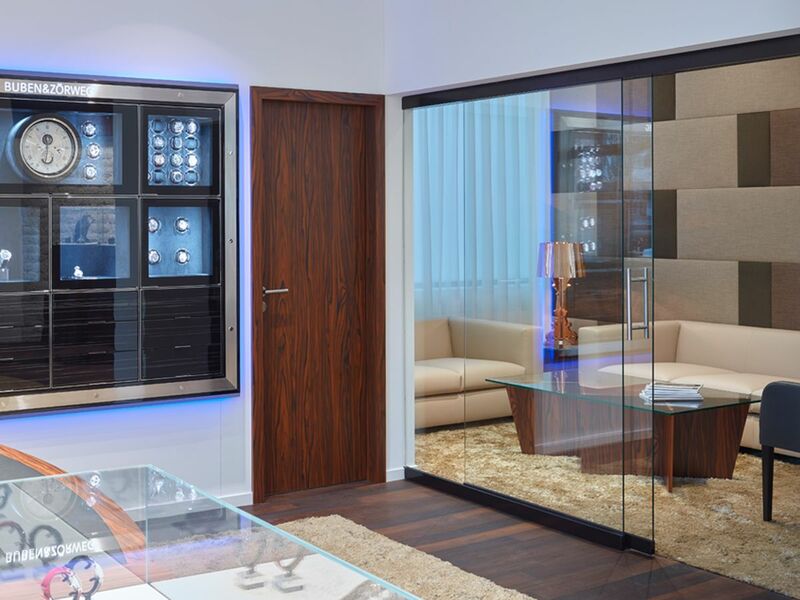 ‘Espace Connaisseur’ and a VIP lounge are situated on the slightly raised level with a huge Buben & Zörweg watch safe, which protects the “creme de la creme” of haute horlogerie. 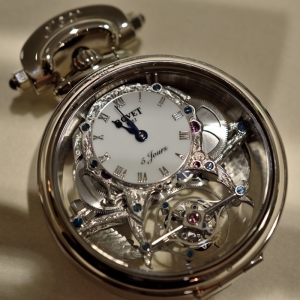 It is a trend of late that fine watchmaking Houses create not only mechanical watches for their female customers but also ultra-high-end pieces with special complications. 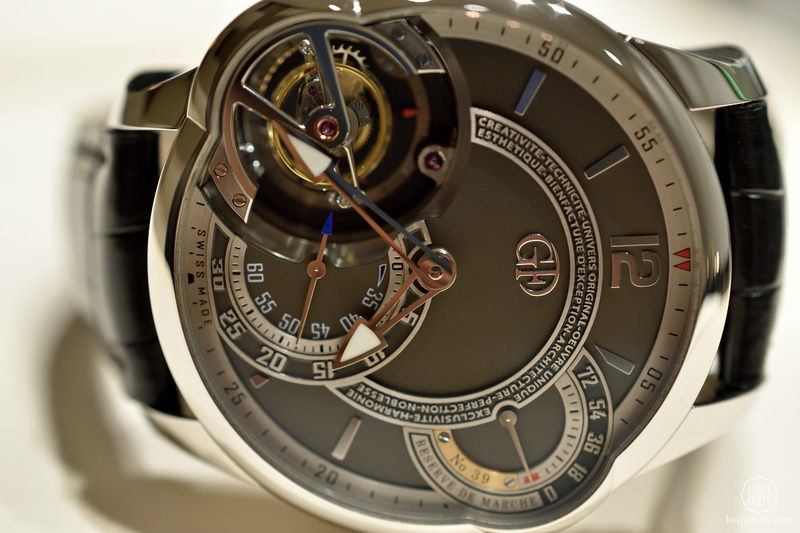 Only time will tell, whether these timepieces find their “niche in the niche” markets or not, but we are definitely “cheerleaders” of this complicated haute-horlogerie beauty. I’m not a big fan of winter and the greyness and cold it brings. 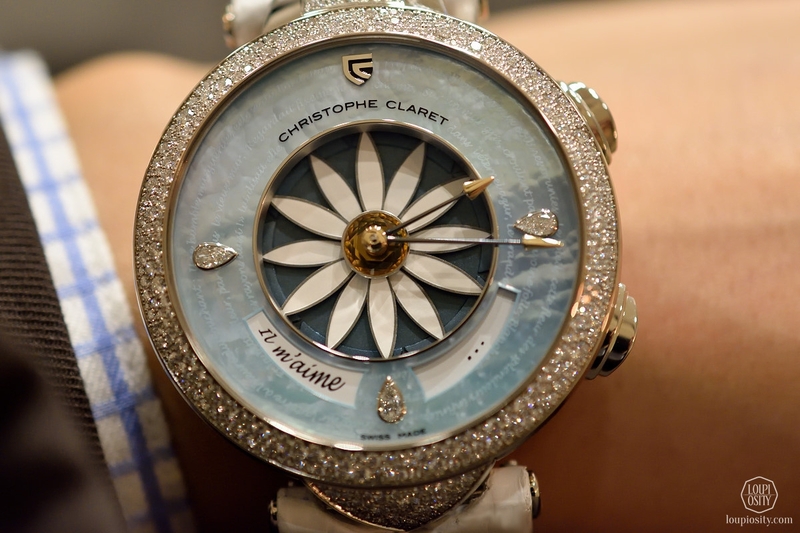 Thus, my heart was blooming when I held the Margot from Cristophe Claret in my hands. 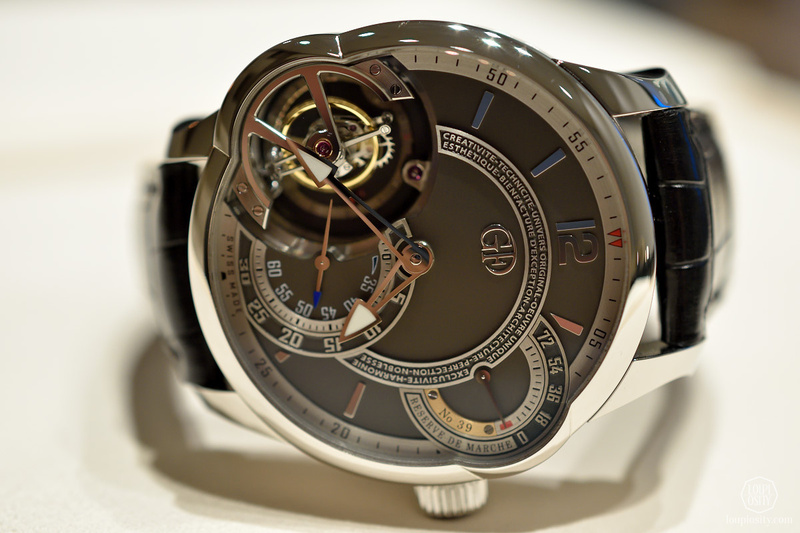 The limited edition Margot was introduced last year and received a great international welcome – it was awarded the prize for Ladies High-Mech at the Grand Prix d’Horlogerie de Genève 2014, won the Best Ladies Watch Award at the Salon Internacional Alta Relojeria 2014 just as the Best Ladies’ Watch prize at the Watch of the Year by Chronos24.pl. 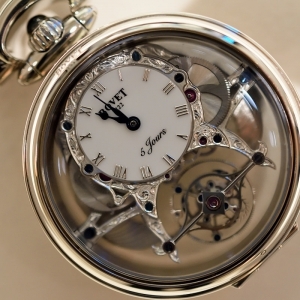 The model is for romantic types, since the Manufacture developed a rather complex unit to answer one of the most pondered questions: he loves me or he loves me not. With a press of the pusher at 2 o’clock a petal or a pair of petals disappear and show the answer on the dial at 4 o’clock: Un peu (a little) – beaucoup (a lot) – passionnément (passionately) – à la folie (madly) – pas du tout (not at all)? If you don’t like the outcome, you can always play a second round. 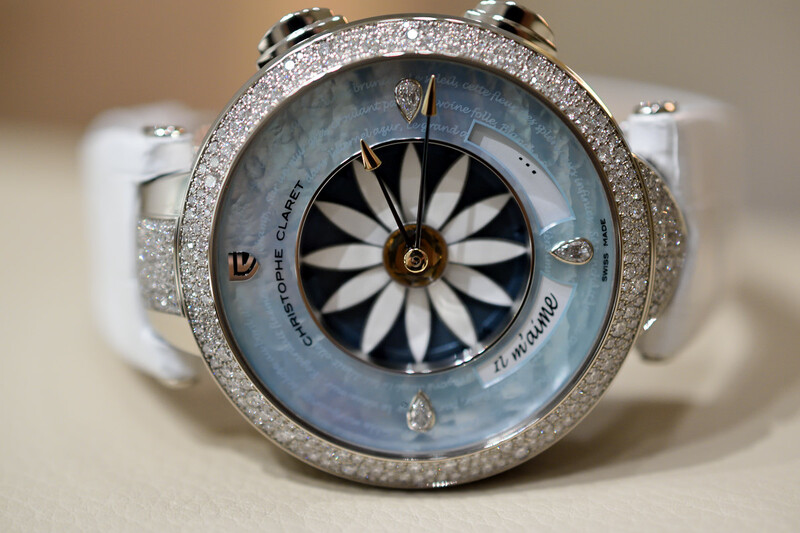 This unique complication wears a very feminine outfit – the watch case is white or rose gold with light blue or pale pink mother-of-pearl dial respectively and decorated with diamonds (set with baguette diamonds or snow-set diamonds). To me the hands are reminiscent of Cupid’s arrow. 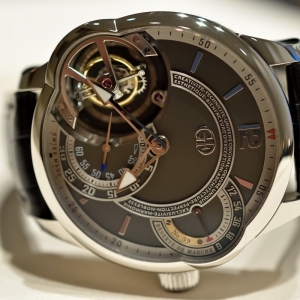 The Tourbillon with three gold Bridges is an emblematic collection of Girard-Perregaux. 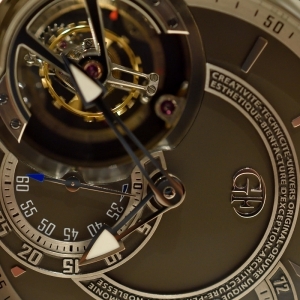 This year the GPHG awarded the Striking Watch prize to the company for the Minute Repeater Tourbillon With Gold Bridges model. 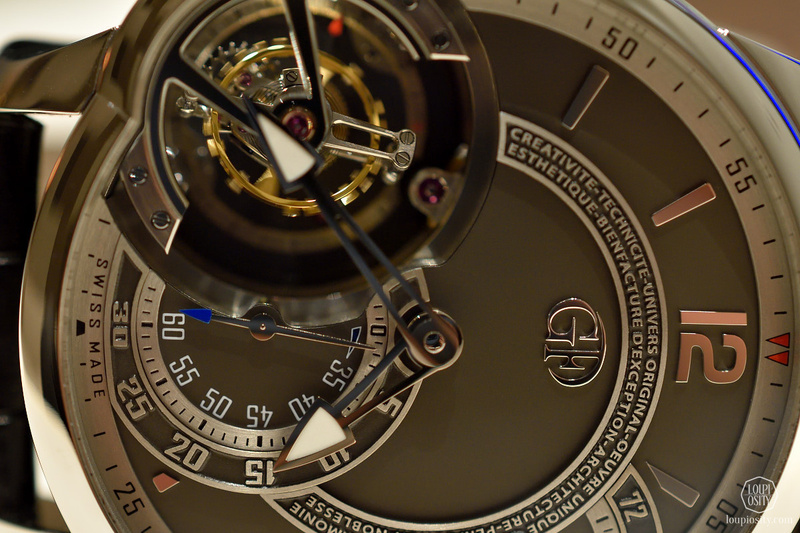 Another fantastic example was the Vintage 1945 Tourbillon Three Gold Bridges 70th anniversary piece we saw in Basel earlier this year. The three parallel, gold, arrow shaped typical GP bridges look like gorgeous, tiny architectural creations. The Lady’s version is no less remarkable. 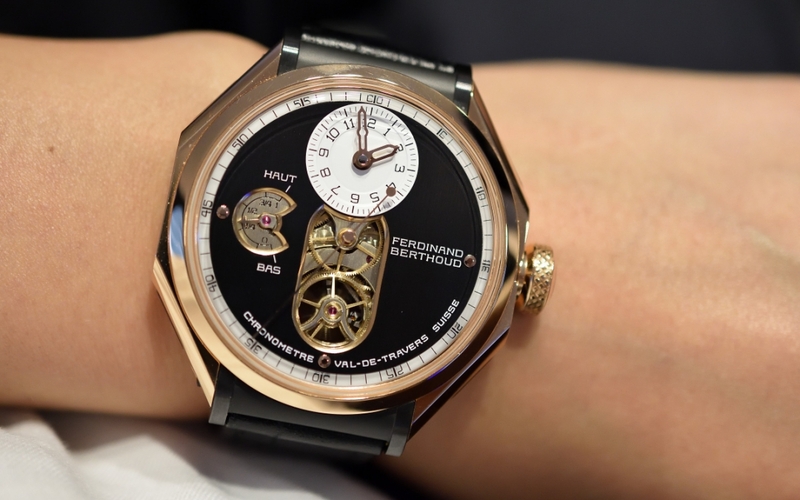 The model pictured is made of pink gold with a case size of 38mm that encompasses a GP self-winding mechanical movement. 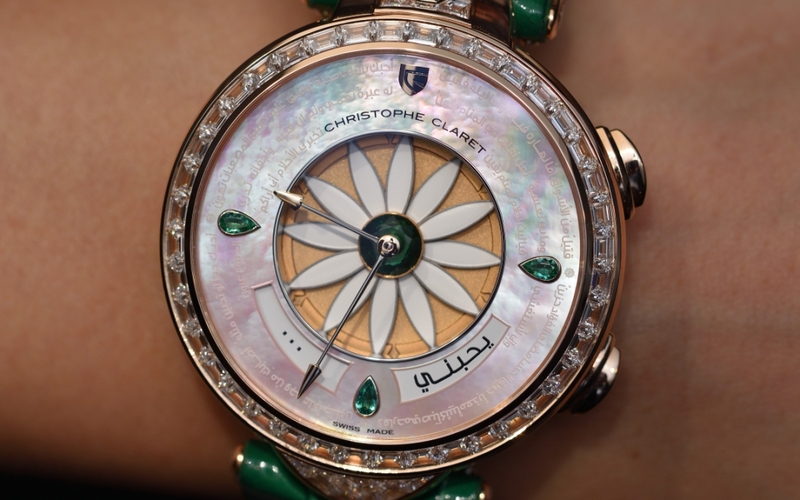 Two diamond circles with different stone sizes run at the circumference and the mother-of-pearl dial frame the visible parts of the movement, one of them being the barrel drum, which is decorated with a floral pattern to complete the sophisticated look. 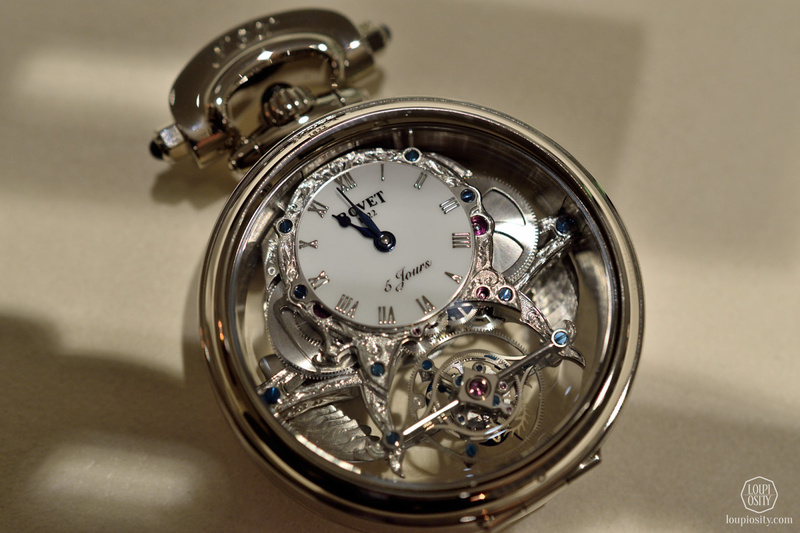 At Baselworld we met the white gold version of the amazing Jaquet Droz Lady 8 Flower, limited to 8 pieces. This time I had the red butterfly land on my wrist. 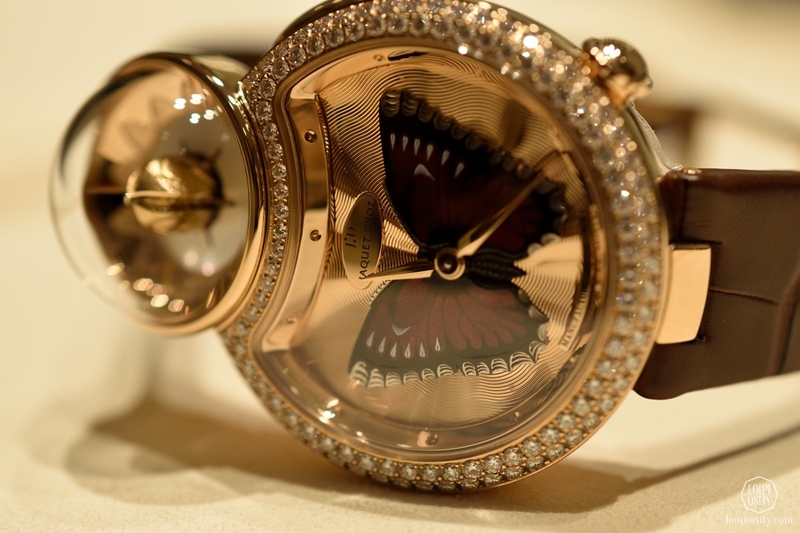 The 28 limited red gold version is set with 114 diamonds. 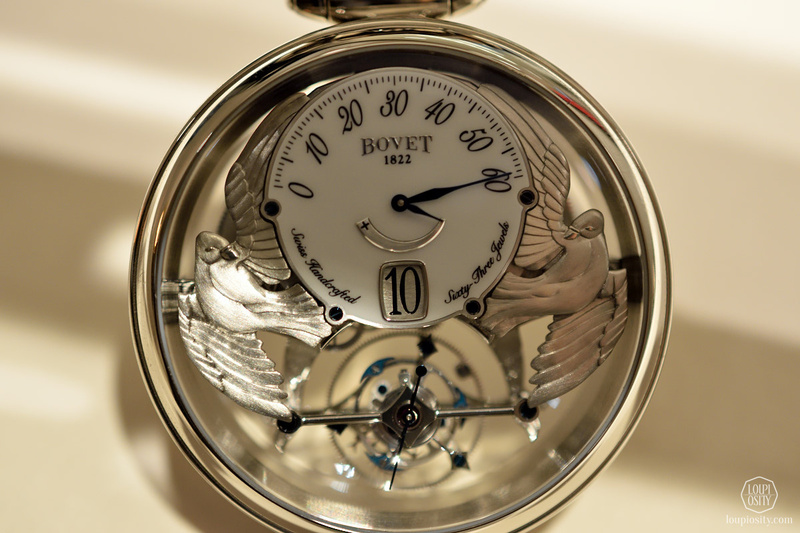 The upper loop of the 8-shape encases a lotus flower operated by a mechanical automation (what Jaquet Droz is very well known for). 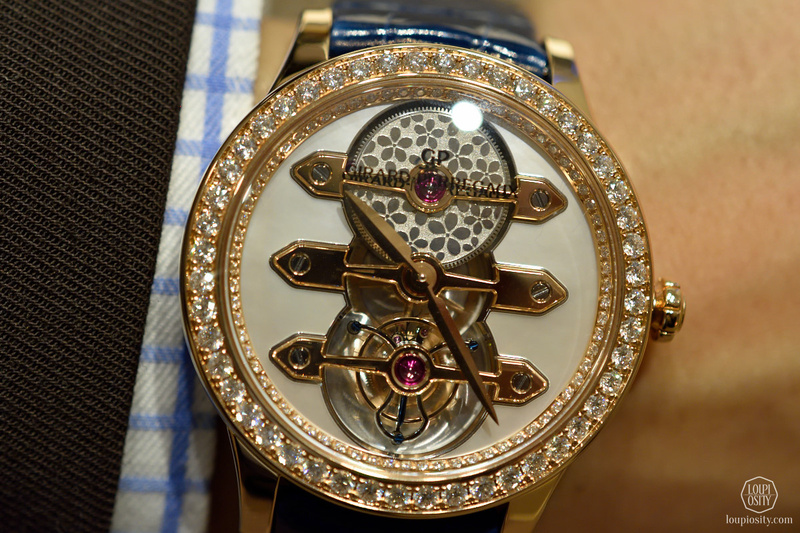 By the push of the button at 2 o’clock it opens and reveals a diamond in the middle. Each rosy-red petal has been engraved and enamelled and they close slowly when the button is released. 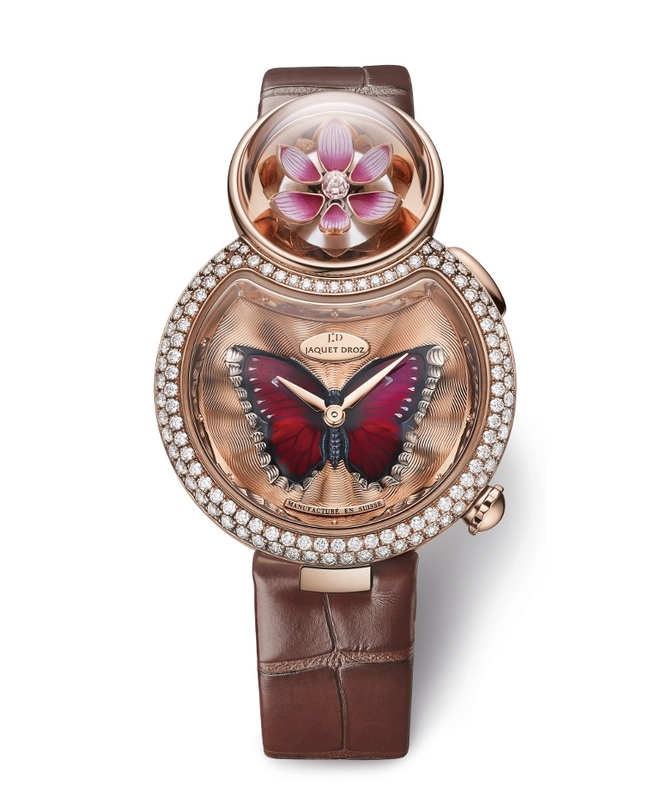 The dial is adorned with a red gold butterfly appliqué, enamelled using the Grand Feu technique, hand-painted and hand-engraved. The safe included few other pieces too which would be shame to miss. You can find all articles of the series here. Connected in Style Jean-Claude Biver sharpened the hooks for attracting a new segment of buyers. 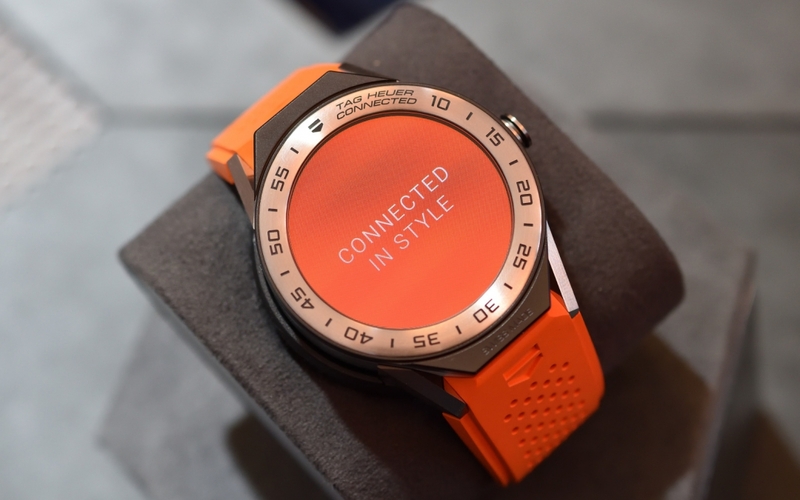 TAG Heuer revealed the new Connected Modular 45 smartwatch on the banks of Lake Lucerne. We were there.